When the world’s favourite mischief-makers meet the world’s most famous monster, it’s love at first fright! 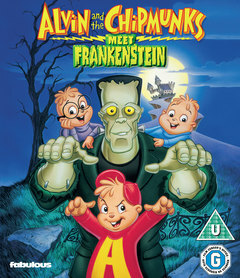 Join Alvin, Simon and Theodore in a song- filled animated adventure that’s so much fun, it’s scary! Whilst working as featured performers on a movie studio tour, Alvin and his brothers can’t resist exploring the park’s star attraction Frankenstein’s Castle, which has been taken over by what appears to be the real Dr. Frankenstein and his beloved Monster. Soon, the Chipmunks and the Monster collide into a wild and wacky laugh fest you’ll want to watch over and over again!